Community Circus Acts, Photo Booth, Close Up Magic, Live Music, Fantastic Food. December 15,16 and New Year’s Eve. 6pm-midnight and later on New Years Eve. All for £38 per person. 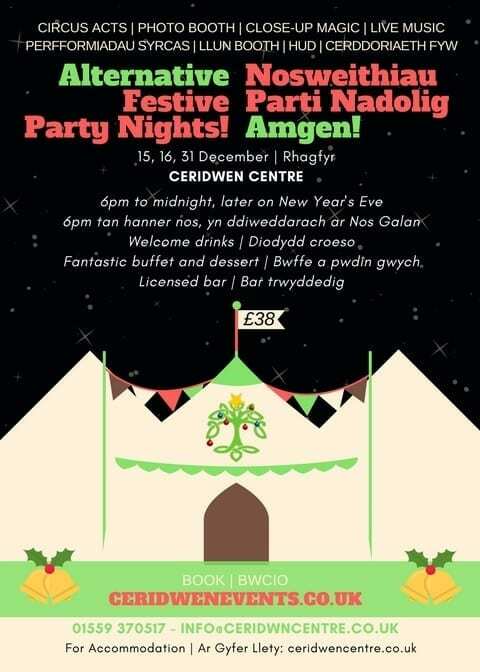 Email, Call, or go to CeridwenEvents.co.uk to Book Now!